Last weekend members of the U.S., Canadian and British teams competed in the only FEI Nations Cup in North America at Great Meadow International. The format used was the one we’re all familiar with: four riders competing for each nation and a drop score. But changes are underway in our sport, including a new Olympic format developed for the 2020 Tokyo Olympics and approved by the IOC. Among other changes (see complete format changes here), the new format includes significant alterations to the traditional team and scoring structures. Most notably, these include a proposal to limit teams to three horse/athlete combinations per nation with no drop score. One reserve combination per team will be allowed, which can be substituted into the competition at the beginning of any phase of competition. The new format was tested for the first time at the June 27-30 FEI Nations Cup at Poland’s LOTTO Strzegom Horse Trials and will go through further testing in 2019. Although the new format was only officially adopted for the 2020 Olympics, it is possible that the FEI may decide it has wider application. For example, the FEI will be rebidding the 2022 FEI World Equestrian Games (WEG) this year. If tests of the new format go well, it is not implausible to imagine the FEI switching to the three-rider format for the 2022 WEG. Equestrian sport is bending over backward to make itself as attractive and low-maintenance as possible for the IOC, and the trickle-down effect that will have on our sport remains to be seen. Could this signal the beginning of the end of an era in eventing? 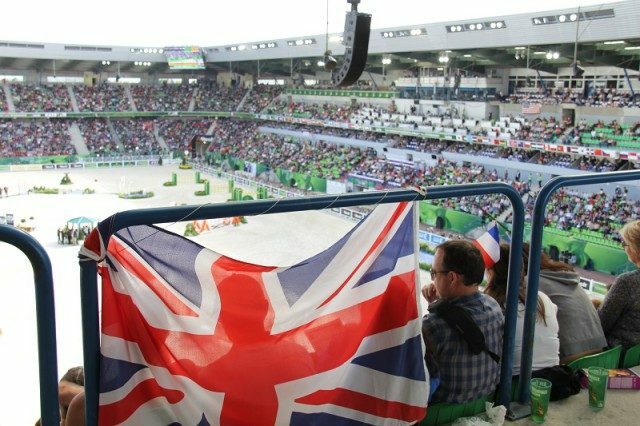 To understand the motivation behind equestrian sport’s sweeping Olympic format changes, it helps to look at the “No Olympics Movement” and the trouble the International Olympic Committee (IOC) is having finding Olympic hosts, as there are some striking parallels between this and the FEI’s struggle to secure WEG venues. Our story begins in 2009. At that time, Chicago was all-in for hosting the 2016 Olympic and Paralympic Games (the “Olympics”). The city spent over $70MM on its bid, and thousands of Chicagoans attended a downtown watch party fully expecting to see their city awarded the Games. As we now know, it was not to be. The International Olympic Committee awarded the 2016 Summer Olympics to Rio de Janeiro, Brazil. The No Olympics Movement is a grassroots movement aimed at saving communities from the negative effects of hosting the Olympics. Citizens who join the movement point to the damage done to host community’s reputations and finances by the eye-popping amounts spent hosting the Olympics, to the ill-suited, under-used and abandoned facilities left behind, and to studies that suggest hosting the Olympics offers relatively few benefits. By keeping communities from bidding to host the Olympics, the No Olympics Movement is putting tremendous pressure on the IOC to improve its image and to make the Games less expensive and less complex to host. A group of citizens in Boston joined the No Olympics Movement when they awoke to the fact that Boston’s bid to host the 2024 Summer Olympics might succeed. The citizens worked hard to convince other Bostonians that hosting the Olympics amounted to writing a blank check to the IOC and putting Boston’s reputation at risk. They succeeded, and on July 27, 2015 Boston withdrew its bid to host the Games. The chart below helps explain why a majority of Bostonians came to believe hosting the Olympics was bad for Boston. 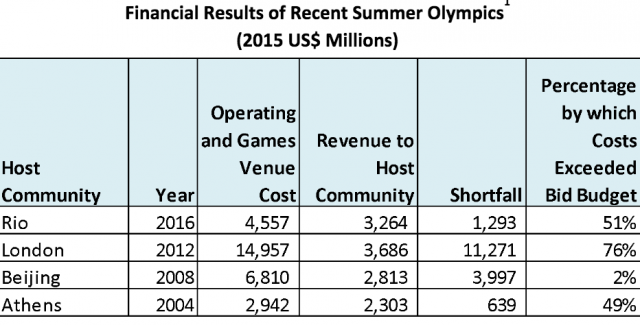 As the chart shows, the host communities for the past four Summer Olympics spent more money hosting the Games than the Games brought in. In the cases of London and Beijing, the host communities spent billions more than they brought in, yet the IOC did not lose money on the Games. The host governments provided guarantees to the IOC that meant the governments were on the hook for the entire shortfall. The No Olympics Movement also takes aim at the IOC’s facility requirements because meeting the requirements often means building facilities that fit the Olympics, not the community. Athens is the poster child for abandoned Olympic facilities. Twenty-one of the 22 venues Athens built for the 2004 Olympics sit abandoned. Many of Rio’s Olympic sites suffer a similar fate as do some of Beijing’s. Abandoned facilities are more than eye-sores. They also drain the community’s economic resources through ongoing debt payments. London tried very hard to avoid creating abandoned or under-used Olympic facilities. The community used existing venues and temporary facilities whenever possible. Yet, even existing venues cost money to rent, and temporary facilities cost money to assemble and disassemble, particularly in the middle of a city. The temporary equestrian center built at Greenwich Park cost approximately 2015 US$98MM and had to be specially designed because it was on an environmentally sensitive World Heritage Site. The IOC requires Olympic Stadiums that seat at least 80,000 and have a unique design to accommodate the track and field events. Once the Olympics are over, these huge stadiums are among the most problematic facilities for communities to deal with. London’s Olympic Stadium was designed with 25,000 permanent seats and a removable top section that brought the stadium to the IOC’s required capacity. Despite the innovative design, it cost £274MM ($427MM) and took three years to renovate the stadium and lease it to a new major tenant. 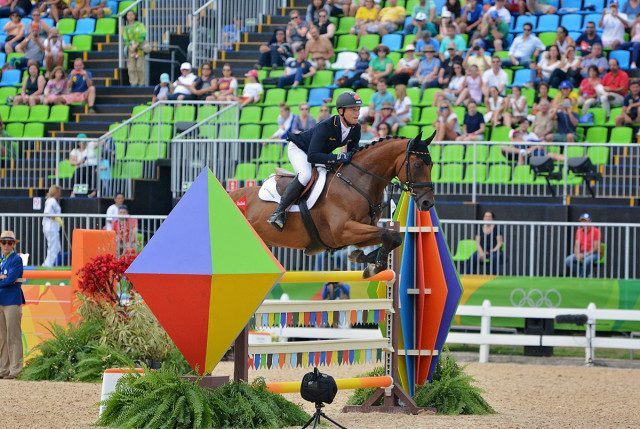 Michael Jung and La Biosthetique Sam FBW at the 2016 Rio Olympics. Photo by Jenni Autry. The host communities were responsible for generating the remainder of the Olympic revenue, primarily in the form of ticket sales, local sponsorships and licensing. London sold an incredibly high 97% of its available tickets and worked hard to secure local sponsorships. As a result, London holds the record for Olympic revenue generation. Despite holding the record, between London’s own revenue and the IOC’s support contribution, London brought in less than 2015 US$4 billion. This amount was well short of what London, Rio, or Beijing spent to host the Games, which calls into question whether it was possible for a host community to earn enough revenue to cover the costs of hosting the Games. The IOC relies on the theory that showcasing the host community during the Olympics provides a boost to the host community’s reputation, tourist spending, and business growth that more than makes up for high Olympic costs and low Olympic revenue. Academic studies and books such as Circus Maximus: The Economic Gamble Behind Hosting the Olympics and the World Cup, raise doubts about whether the IOC’s theory applies to major cities that already have well-established international brands and active tourist and business sectors. (These are typically the same communities that are big enough and wealthy enough to host the Olympics.) The IOC’s reputation and the Olympic brand have been hurt by a series of scandals related to everything from bribery and doping to environmental damage to social justice issues. As a result, the No Olympics Movement disputes the IOC’s theory, and suggests hosting the Olympics has far fewer follow-on benefits for communities than the IOC suggests. In many cities, the general population is paying attention to the No Olympic Movement’s concerns. Citizen opposition led Stockholm, Sweden; Oslo, Norway; Munich, Germany; Lviv, Ukraine and Kraków, Poland to pull out of the final round of bidding to host the 2022 Winter Olympics. These withdrawals left the IOC with the choice of Beijing, China or Almaty, Kazakhstan. 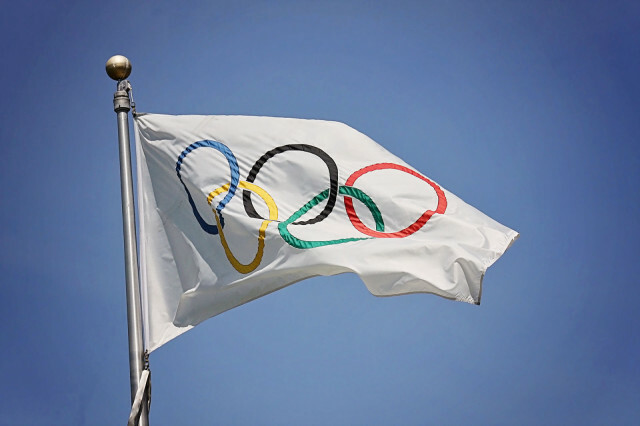 Strong citizen opposition also prompted Boston, USA; Hamburg, Germany; Rome, Italy; and Budapest, Hungary to withdraw from the final round of bidding for the 2024 Summer Olympics. That left the IOC with the choice of Paris or Los Angeles. The IOC chose Beijing for 2022 and took the unprecedented step of awarding the 2024 and 2028 Olympics simultaneously. Paris received the 2024 Games, and Los Angeles received the 2028 Games. The IOC is responding to the No Olympics Movement through Agenda 2020, a strategic plan with 40 recommended changes to its Olympic processes and procedures. The recommended changes include a number aimed at making the bid process easier and making the Olympics fit host communities better. The recommendations are also aimed at increasing the IOC’s revenues, potentially, in part, so it can provide host communities with larger support payments. 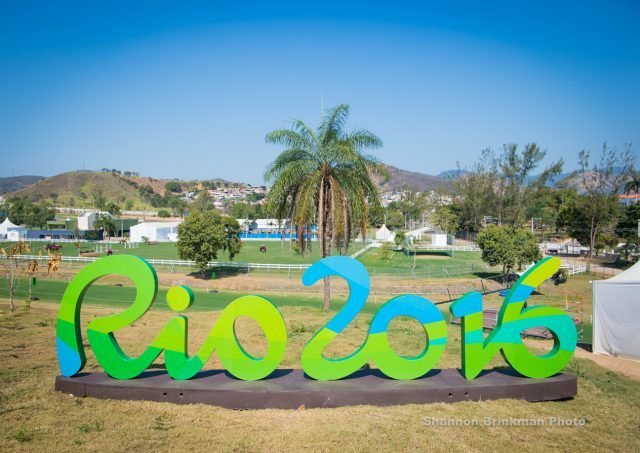 Agenda 2020 impacts eventing because eventing is an Olympic sport. One of the Agenda 2020 recommendations is that host communities use existing venues whenever possible to reduce costs and environmental impacts. To meet this recommendation, Tokyo moved eventing dressage and show jumping from a new, temporary equestrian venue to Baji Koen, the same equestrian park that was hosted the 1964 Olympic equestrian events. According to the Tokyo 2020 Candidature file, the original budget for the equestrian center was 2015 US$41MM. I could not find the cost of renovating Baji Koen. It should be lower. Cross country will be held at a new, temporary course being built on Umi-no-Mori, an island created from a landfill in the Tokyo Bay. The 217 acre island is being covered with trees and designed as an environmental project that aims to clean the city’s air, reduce the heat island effect and carry cool ocean breezes into the city. Tokyo budgeted 2015 US$24MM to build the temporary cross country course on Umi-no-Mori. There are also a variety of format changes for 2020 Olympic eventing aimed at controlling costs while simultaneously increasing revenues from broadcast and media coverage, sponsorships and ticket sales. Eventing entries will be capped at 75 riders to help manage venue size and control costs. The team competition will include just three riders per country rather than the traditional four riders. The smaller team size will allow the number of countries sending teams to grow without increasing the total number of eventing competitors. All three riders’ scores will count toward the team score in an effort to make scoring easier for the general public to understand. Finally, since dressage is the least televised and attended phase of eventing, all 75 dressage rides will be held in one day. The first test of the 2020 Olympic Eventing format took place in late June at the LOTTO Strzegom Horse Trials in Poland. FEI Nations Cup teams representing seven countries used the format. More tests will take place between now and the Olympics, including the test event in Tokyo next year. The main WEG stadium in Normandy 2014. Photo by Leslie Wylie. The No Olympics Movement is more than just a problem for the IOC, and by extension, for Olympic eventing. It also has major impacts on WEG by publicizing the problems communities face when hosting mega sporting events, and by making citizens leery of putting their tax dollars at risk to host these events. While WEG is much smaller than the Olympics, it still attracts over 500,000 spectators and receives international broadcast and media coverage. WEG was the sixth largest international sporting event in 2014, and it is expected to be the fourth largest international sporting event in 2018. The FEI solicits bids from potential host communities and awards (or tries to award) WEG through an auction process. The FEI’s auction process has been ineffective. Normandy was the only bidder for the 2014 WEG. Bromont pulled out as the original host for the 2018 WEG and had to be replaced with Tryon. Šamorin pulled out as the original host for the 2022 WEG, and the FEI is in the process of finding a new host for those Games. The FEI also has extensive facility requirements that fit WEG, but may not fit host communities. 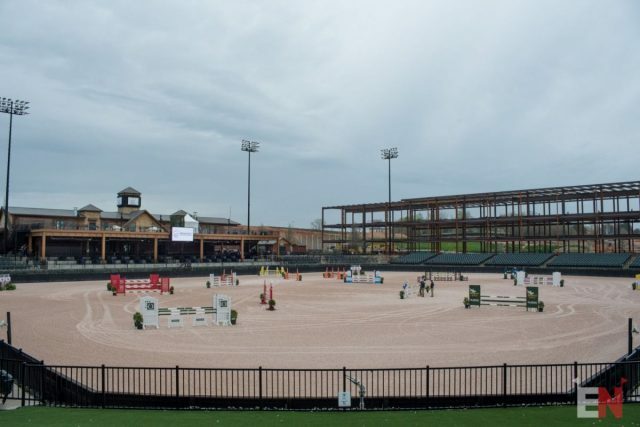 The Kentucky Horse Park spent 2015 US$87MM on improvements for the 2010 WEG including expanding the Rolex outdoor stadium and building the new 5,520-seat indoor Alltech Arena. The scope of the improvements exceeds the Park’s ability to use them on an on-going basis. As a result, the Park needs a subsidy from the State of Kentucky to service the debt it took on to make the improvements. To help make ends meet, the Park is deferring a significant amount of maintenance. Maintenance is so far behind that the Kentucky Horse Park withdrew its bid to host the 2022 WEG. The Park’s situation is very disappointing because serving as a repeat host for WEG should be one of ways to make meeting the FEI’s facility requirements feasible for host communities. Tryon International Equestrian Center under construction for WEG 2018. Photo by Leslie Threlkeld. The Sports Consultancy’s A Strategic Review of the FEI World Equestrian Games, A Significant Appetite and Need for Change includes a fairly lengthy set of recommendations for making WEG more appealing to hosts. The recommendations include shortening WEG to nine to 10 days, reducing the size of the competitor field to reduce costs, requiring fewer venues and making the Games accessible to more fans. Key recommendations such as a shortened schedule are not incorporated into the 2018 WEG. The 2018 WEG will follow the same schedule as other recent WEGs with a 13-day long competition that includes opening and closing ceremonies. Eventing will be run in the traditional format with four member teams, two days of dressage and a team drop score. Mark Bellisimo and his team have a tremendous amount of success hosting top level equestrian sports, so hopefully they are creating the secret sauce that will allow the 2018 WEG to overcome the issues associated with past versions of the Games. Once the 2018 WEG is over, the FEI has some work to do to find a new host for the 2022 WEG. Considering the strength of the No Olympics Movement and the resulting low level of interest in hosting WEG, the FEI is likely to need to make changes to WEG to attract a host for 2022. The new 2020 Olympic eventing format addresses many of the issues raised in the consultants strategic report on WEG. The FEI already has the results of the first test of the new eventing format from Strzegom, and the FEI will gather additional results as the format is tested in competition during 2019. If the FEI likes the format, it would be logical for the FEI to adopt the new three-rider Olympic format for the 2022 WEG. Could the format changes trickle down even further, such as to FEI Nations Cup team competitions? It seems possible that the 2018 WEG marks the end of an era in eventing, although only time will tell. While we are waiting to see what the future brings and how it affects our sport, there are only two things to do. Enjoy the traditional eventing format at the 2018 WEG in Tryon and Go Eventing! Footnote1: The cost figures in the chart represent the operating costs of holding the Games as well as the costs associated with the physical venues. Operating costs include items like security, IT, medical services, medal ceremonies and administration. Physical venues include the Olympic Village, the media center and the international broadcast center in addition to competition sites like the equestrian center. Proper accounting practice suggests that the cost of physical venues should be amortized its useful life which would normally be ten to 30 years. However, virtually all Olympic venues need to be significantly reconfigured, are under-utilized or are abandoned. Consequently 100% of the cost of physical venues is included in the figures. Revenues include the host community’s estimated support payment from the IOC as well as revenues from hosting the Games such as ticket sales, local sponsorships and licensing. 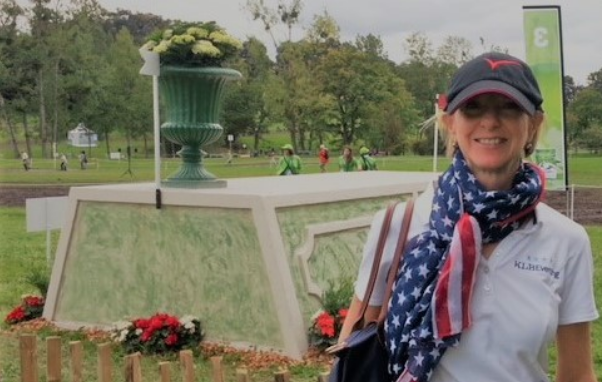 About the author: In addition to being a long-time eventing fan and amateur rider, Lynne is a sustainability consultant with Unison Advisory Group. She helps clients grow credibility and trust with important stakeholders through more thoughtful engagement, stronger environmental stewardship and higher quality business practices. She holds a Master’s in Sustainability from Harvard and an MBA from Duke.